Hold on to your sequins! MediaWorks and BBC Worldwide ANZ are delighted to announce that hit series Dancing with the Stars will add even more sparkle to TV3’s stellar local line up. The series will see 10 Kiwi stars - to be announced at a later date - ready to rumba and battle it out to take home the coveted mirror-ball trophy. Each week, the celebrities will be pushed out of their comfort zones and endure hours of gruelling rehearsals to master demanding choreography and entertaining performances. Under the scrutiny of the judging panel, the stars and their professional dance partners will have to prove they have mastered all the moves on the dancefloor. The judges’ scores, combined with the viewer vote, will determine who wins the trophy and a place in the Dancing with the Stars hall of fame. Andrew Szusterman, Group Entertainment Content Director, says: "This new local series of Dancing with the Stars is going to be fantastic. It’s set to be packed with more stars, dancing and drama than ever before. The series is a stunning addition to our massive 2015 line up, helping us to deliver the very best in entertainment to all New Zealanders." Helen Pendlebury, BBC Worldwide ANZ’s Head of Business Development, says: "We’re delighted that MediaWorks will be reviving Dancing with the Stars for New Zealand audiences. The brand has never been stronger - exciting and inspiring audiences around the world - and we know that TV3 will shine with the show in its new home." There will be extensive extra coverage available on the official tv3.co.nz and across social media on Twitter, Facebook and Instagram. 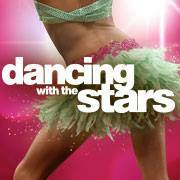 Dancing with the Stars is a BBC Worldwide format produced by TV3. The smash-hit BBC format is licensed to 52 countries, with over 250 series aired around the world to date.